London, Jan 4 : Martin Scorsese's latest film ' The Wolf Of Wall Street' has been named the most foul-mouthed film ever made. The film tops a list of films that feature most uses of the F-word, Sky News reported. According to Wikipedia, The Golden Globe-nominated film has 506 uses of the expletive in 179 minutes. The movie stars Leonardo DiCaprio as amoral stockbroker Jordan Belfort. 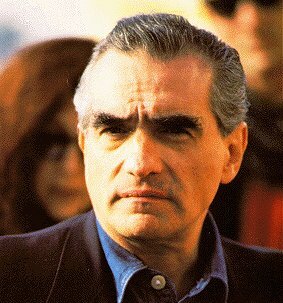 Los Angeles, Dec 6 : Filmmaker Martin Scorsese says that actor Leonardo DiCaprio brought back his passion for filmmaking. The duo has worked together in movies like "The Aviator", "The Departed" and his X-mas offering "The Wolf of Wall Street", coming out on Dec 25. "Working together re-ignited my enthusiasm for making pictures. There's always something more, there's always more to mine with him. He keeps going deeper and deeper," hollywoodreporter. com quoted Scorsese as saying. Los Angeles, March 29 : Hollywood director Martin Scorsese is set to bring his oscar-winning film "Gangs of New York" (2002) on the small screen as a TV series. The film, which focused on the corrupt underworld of New York at the turn of the 19th Century featured Daniel Day-Lewis who played Bill 'The Butcher' alongside Leonardo DiCaprio and Cameron Diaz. Now, 10 years after the movie picked up the Best Picture Oscar, Scorsese has teamed up with Miramax Studios to transform the story for TV, reports femalefirst. co. uk. The series will show gang culture from New York, Chicago and New Orleans. Washington, June 5 : Martin Scorsese and Michael Madsen have paid tribute to David Carradine, who passed away on June 4 aged 72. Madsen, who co-starred with the Kill Bill villain, spoke of his close relationship with his late friend, who was found dead in a Bangkok hotel. "David was one of the first actors I ever worked with when I started my career and the closest person to a brother that I ever had in my life. It is shocking to me that he is no longer with us," Contactmusic quoted him as saying. London, May 14 : Oscar-winning director Martin Scorsese will produce and direct a big screen biopic on Frank Sinatra. The 66-year-old helmer will make the film for Universal and Mandalay Pictures. Universal and Mandalay announced the project in a joint statement. However, no word was made on which actor would play Sinatra, reports The Telegraph. After securing the rights to iconic singer and actor''s life, both the companies have been developing the Sinatra project, according to Daily Variety. Los Angeles - Oscar winner Martin Scorsese plans to direct and produce the first film ever made about the life of "Ol' Blue Eyes," the US crooner and actor Frank Sinatra, the entertainment industry newspaper Variety reported. Universal Pictures and Mandalay Pictures secured the life and music rights from Frank Sinatra Enterprises to make the film after two years of negotiations, Mandalay president Cathy Shulman told Variety Wednesday. London, Apr 8 : Legendary director Martin Scorsese will be honored with the `Humanitarian' award by the Multicultural Motion Picture Association (MPAA). The Oscar-winner will become the second recipient of the prestigious award, as Clint Eastwood was the first person to be honoured with it last year, reports the Daily express.